9 cm embroidered patch with merrowed edge and iron-on backing. Made in Spain. 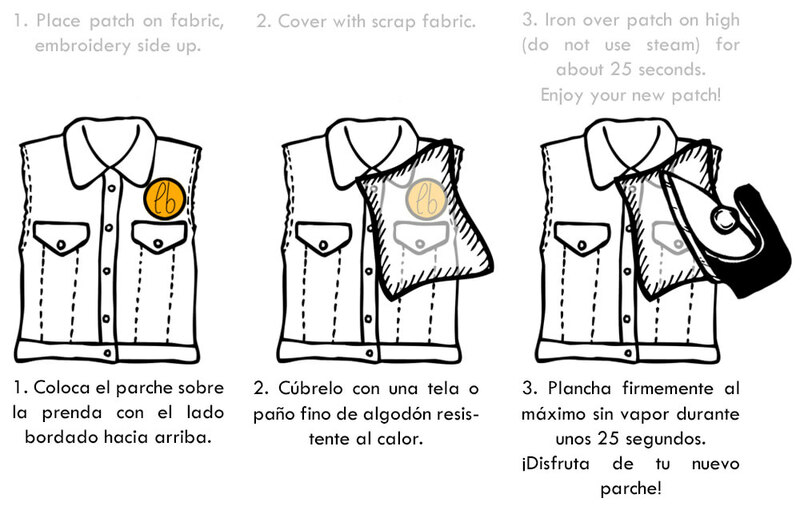 Follow the iron on patch instructions below (click to enlarge)! To affix this patch permanently, sewing on is recommended. During the 17th Century the so called freak shows became very popular. These were travelling shows, similar to the circus, that displayed strange human forms. The bearded woman was a central figure of these shows: a woman with hair on her face who instead of shaving, decided to make a virtue of her unusual characteristic. Today ‘freak’ is a word that is commonly used to refer to a person whose hobbies are only practiced by a minority. La Barbuda is a brand created for people that are different and are proud to be so. If you have been born with a beard don’t shave it! Different is cool. Stay freak!